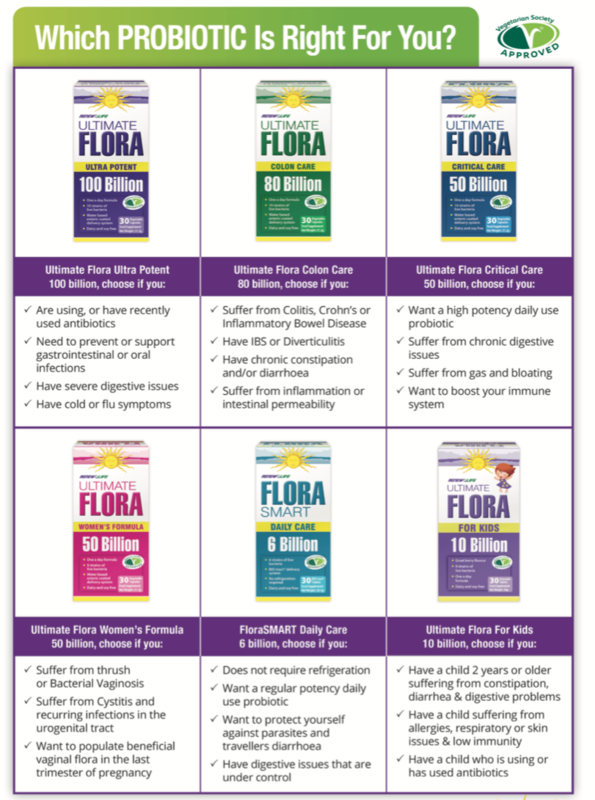 Ultimate Flora Ultra Potent is a 100 billion live bacteria, 10 strain therapeutic probiotic formula designed for those with severe digestive issues, or people who are currently using or have recently used antibiotics as it contains antibiotic resistant bacteria. 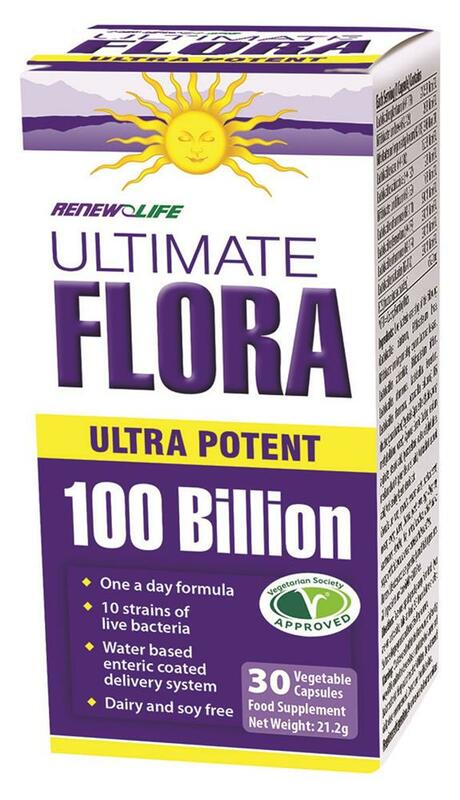 Ultimate Flora Ultra Potent is a 100 billion live bacteria, 10 strain therapeutic probiotic formula designed for those with severe digestive issues, or people who are currently using or have recently used antibiotics as it contains antibiotic resistant bacteria. It also offers therapeutic support for people suffering from infections, colds and flu and low immunity. Ultimate Flora Ultra Potent contains therapeutic levels of 50 billion Lactobacillius and 50 billion Bifidobacteria active cultures, making it the most complete and effective probiotic supplement on the market. Ingredients: Live bacteria consisting of the following: (Lactobacillus plantarum, Bifidobacterium breve, Bifidobacterium longum subsp. longum, Lactobacillus casei, Lactobacillus acidophilus, Bifidobacterium bifidum, Lactobacillus rhamnosus, Lactobacillus fermentum, Lactobacillus rhamnosus, Lactobacillus salivarius), FOS (fructooligosaccharides), Vegetable Capsule Shell: (hydroxypropyl methylcellulose, water), Aqueous Enteric Coating: (sodium alginate, stearic acid, hypromellose, water, ethylcellulose, medium chain triglycerides, oleic acid), Antioxidant: ascorbic acid, Anti-caking Agent: stearic acid. Contains no nuts, peanuts, sesame seeds, mustard seeds, wheat, celery, gluten, lactose, yeast, corn, egg, dairy, soy, crustaceans, shellfish, fish, animal products, added salt or sugar, artificial colour or preservatives, binders or fillers. 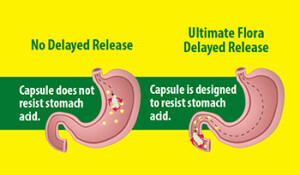 Guaranteed potency until best before date. Must be used within the framework of a healthy way of life and not to be used as a substitute for a varied and balanced diet. Keep out of reach of children. Do not exceed daily dose recommended. Do not use if seal is broken. Requires refrigeration. Do not expose to heat or moisture.